Our locally breezy trade wind weather should stay with us Monday, but then some changes will happen as a weak cold front approaches the islands from the northwest. 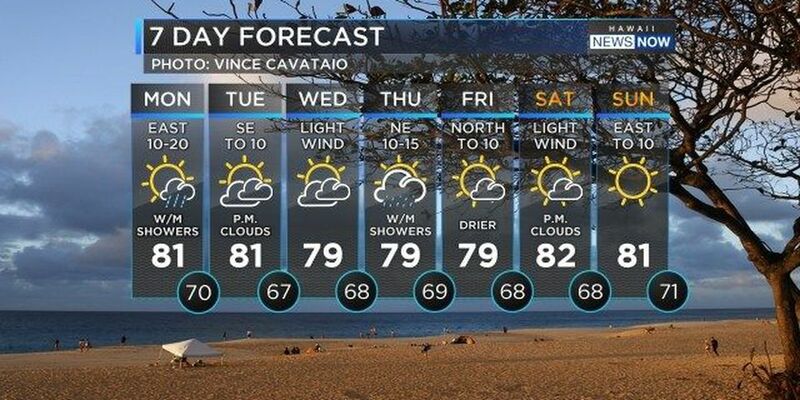 Winds slow down as the front nears Tuesday, and then become light and variable Wednesday as the front likely stalls just short of Kauai. 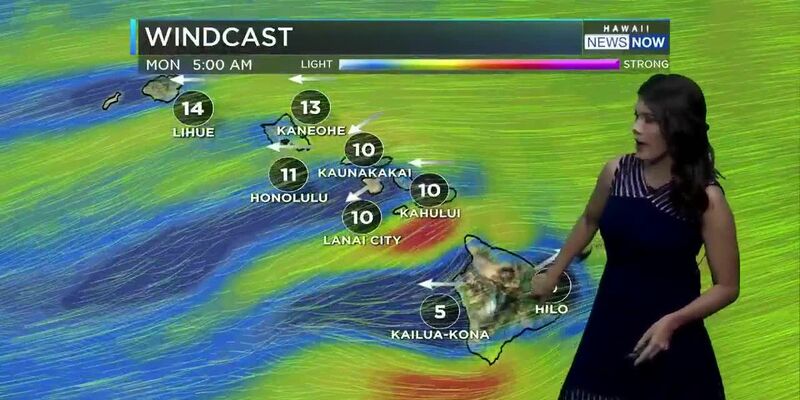 Trade winds should return late Wednesday and Thursday, and some of the frontal showers will get caught up on those winds, with most of the rainfall for windward and mauka areas. Surf is quieting down for a day ahead of the next long-period northwest swell which should start arriving Tuesday. This swell may peak near warning levels Thursday. 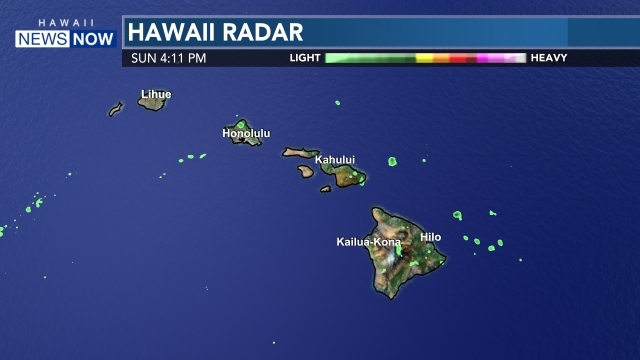 Meanwhile, a Small Craft Advisory remains posted until 6 a.m. Tuesday for the usual windier waters around Maui County and the Big Island.